The Curtiss G designation is confusing, for it seems to have been applied to both the first Curtiss tractor model delivered to the Army in 1913 and to a nacelle-type pusher based on 1915-16 European practice and using existing Curtiss Model R wings and tail and the 150 hp Curtiss V-X engine. Curtiss photographs of this single 1916 model have been labelled both Model G and Pusher R, which see. 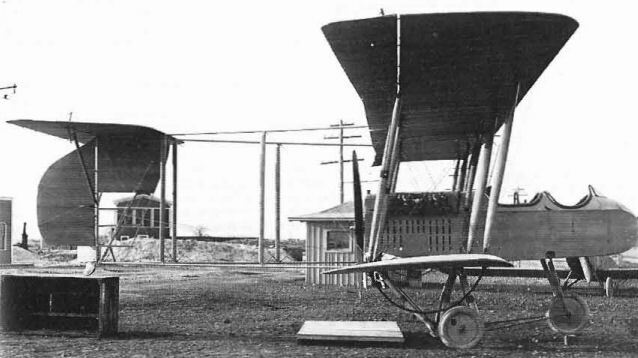 Photographs indicate that the 1916 model originally had equal-span wings with interplane ailerons and that the upper wing was then extended and incorporated the ailerons. Pusher R - In 1916 Curtiss made an attempt at reviving US Army interest in the landplane pusher configuration by filling a pod, containing tandem cockpits and a pusher engine, with early Model R wings and new vertical tail surfaces to create a pusher in the 1914-15 European style. Longer-span R-2 wings with inset ailerons were soon installed. While performance reportedly matched that of the contemporary R-models, there was no official support for the design. 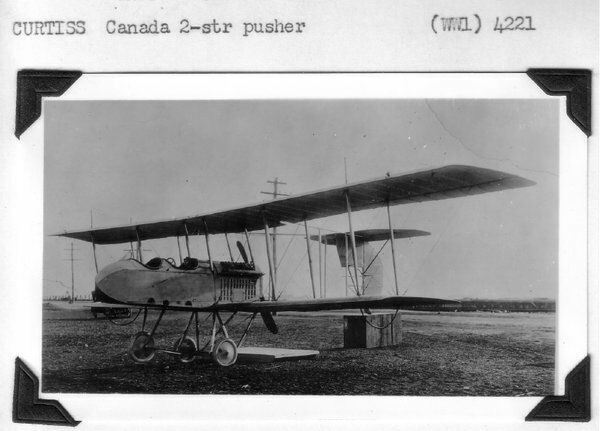 This model also appears in Curtiss records as a second Model G.
This 1916 pusher design has been identified as the Model G and has also been referred to as a Pusher R.